OAKLAND, Mich. (AP) – Brad Brechting had 20 points as Oakland defeated Illinois-Chicago 86-72 on Thursday night. Brechting made all 10 of his free throw attempts. Jaevin Cumberland had 16 points and six rebounds for Oakland (14-16, 10-7 Horizon League). He also had seven turnovers but only six assists. Tray Maddox Jr. added 15 points. Karmari Newman had 13 points for the hosts. The Golden Grizzlies forced a season-high 20 turnovers. Godwin Boahen had 20 points and seven assists for the Flames (15-15, 9-8). Tarkus Ferguson added 18 points, seven rebounds and seven assists. He also committed seven turnovers. Rob Howard Jr. had 10 points. 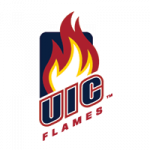 The Golden Grizzlies improve to 2-0 against the Flames for the season. Oakland defeated Illinois-Chicago 80-67 on Jan. 26. Oakland finishes out the regular season against IUPUI at home on Saturday. Illinois-Chicago finishes out the regular season against Detroit on the road on Saturday.